We offer high-quality Jars For Lip Balms our valuable customers. These products are widely used for storage as they are suitable for maintaining freshness of products like cereals and pulses for a long time. These products are available at very affordable price without compromising on our quality. 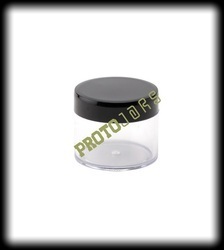 These jars are available in different shapes, sizes as well as capacity options. Suitable for maintaining freshness of products like cereals, pulses for a long time. Jars available in different shapes sizes as well as capacity options. Recognized for their compact designs. Jars available in stackable, airtight as well as moisture proof finish. Looking for Lip Balm Jar ?